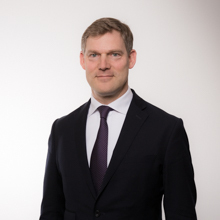 After having presided over the Geneva Group of the Swiss Arbitration Association (ASA) – ASA’s first local group founded in 1987 – for more than 15 years, Michael E. Schneider has entrusted the direction and organization of the Group’s meetings to Bernd Ehle, Sébastien Besson and Laurent Hirsch. The first session organized by the new triumvirate took place on 6 December 2007. The Geneva Group of ASA holds meetings three to four times a year.